With the recent advancements in veterinary care and nutrition, our pets are living longer, happier lives. 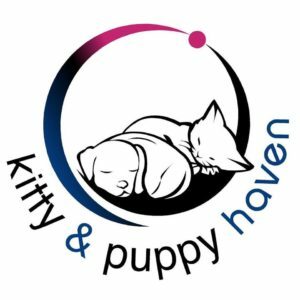 Most pet owners understand the importance of early veterinary care & feeding a quality diet to their puppy or kitten. However less attention is given to their ageing dog or cat. In fact when asked if their pet is a “senior citizen”, most owners don’t even know at what age their pet is considered “senior”? At what age is my cat or dog considered a “senior citizen”? In general, cats & small to medium dogs (up to 22kg) are considered senior from 7 years old, whereas your large and giant breeds (from 22kg) are considered senior from as early as 6 years old. What health changes can I expect with my senior pet? With all of these potential health issues to be aware of, it is important that senior pet owners become proactive in their pets health care. Increased veterinary care – it is recommended that your senior pet visits the vet at least twice yearly for a general checkup. 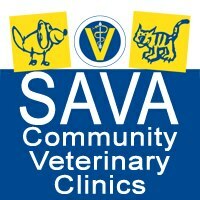 This not only ensures that their vaccinations are up to date but your veterinarian can perform a thorough examination. In doing so any potential health problems can be diagnosed & treated earlier rather than later. 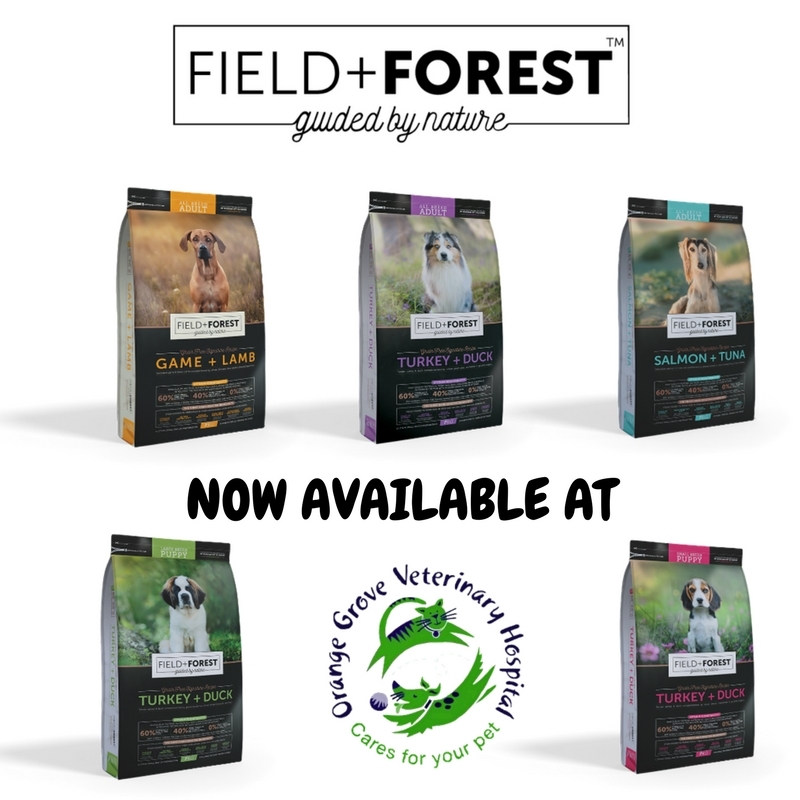 Age appropriate diet – as you pet ages, so his or her nutritional needs change. Veterinary developed senior diets have different caloric & protein levels. Additionally if your pet has been diagnosed with a specific health condition, your veterinarian can recommend a prescription diet clinically proven to alleviate your pet’s health concerns. Weighty issue – Maintaining a healthy body condition is recommended throughout your pet’s life. However as your pet ages, he or she is at higher risk of developing degenerative joint disease and osteoarthritis. Animals who are overweight or obese place extra pressure on joints, causing more wear and tear. This causes a degeneration leading to stiff and painful joints. Dental Care – Unlike in humans, dogs and cats can’t brush their own teeth, leaving the responsibility to their owners to maintain oral care. Dental disease is not just about your pet’s smelly breath . 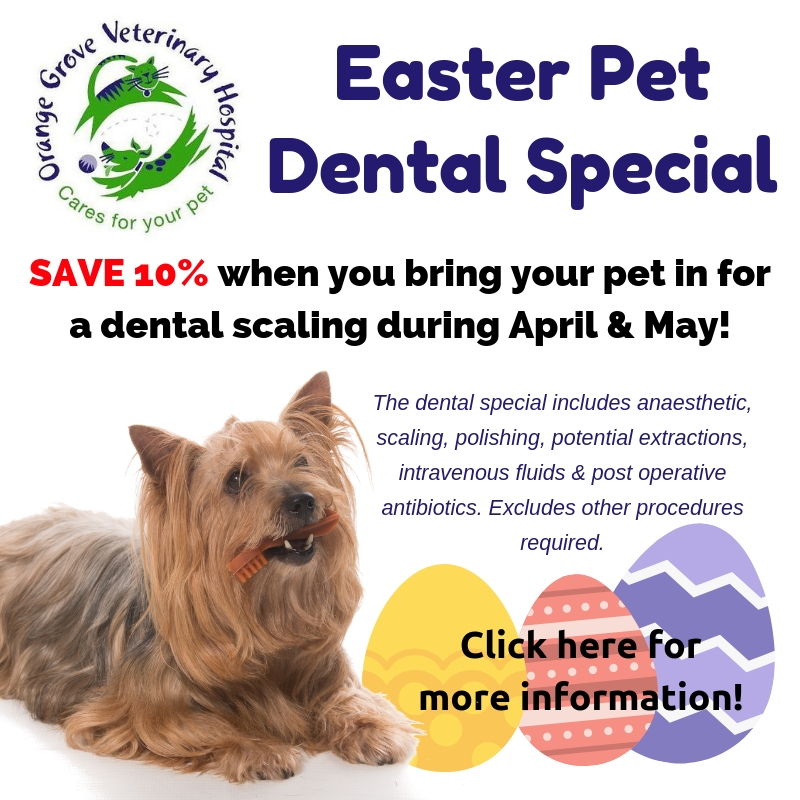 The build up of tartar and plaque in your pet’s mouth if left untreated can lead to infection which will not only require your pet to have major dental surgery (and possible extractions) but can cause infection to spread to other areas in the body. Daily brushing and providing dental diet/treats to promote chewing can help reduce tartar and plaque build up, leaving your pet’s teeth pearly white & smiling! Preventative care – Prevention is better than cure and with our older pets, the more proactive you can be with their health, diet and lifestyle, the longer and healthier their lives will be! This equates to regular vet visits, feeding an age appropriate nutrition, regular exercise to maintain an ideal body condition and daily dental care. Other ideas to help your pet is to provide comfortable warm bedding for ageing joints and doggy jerseys during the cool winter months! 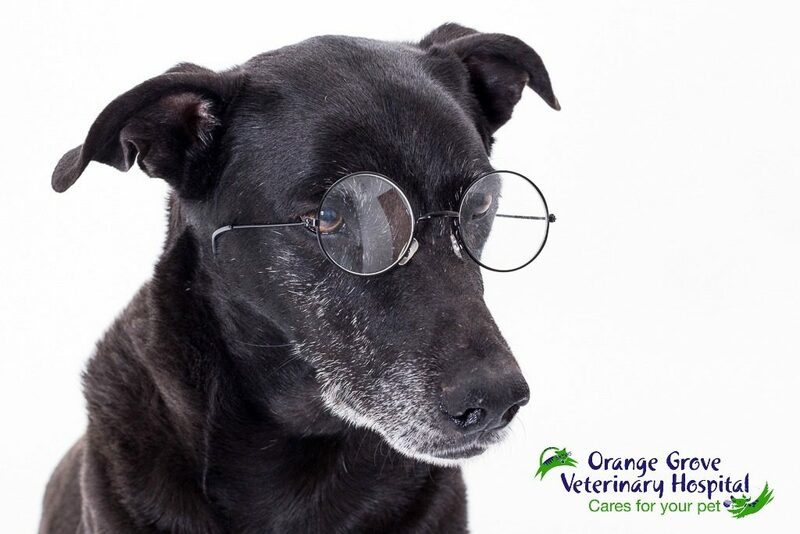 SAVE this July at Orange Grove Vet with our GREAT SENIOR SPECIALS! 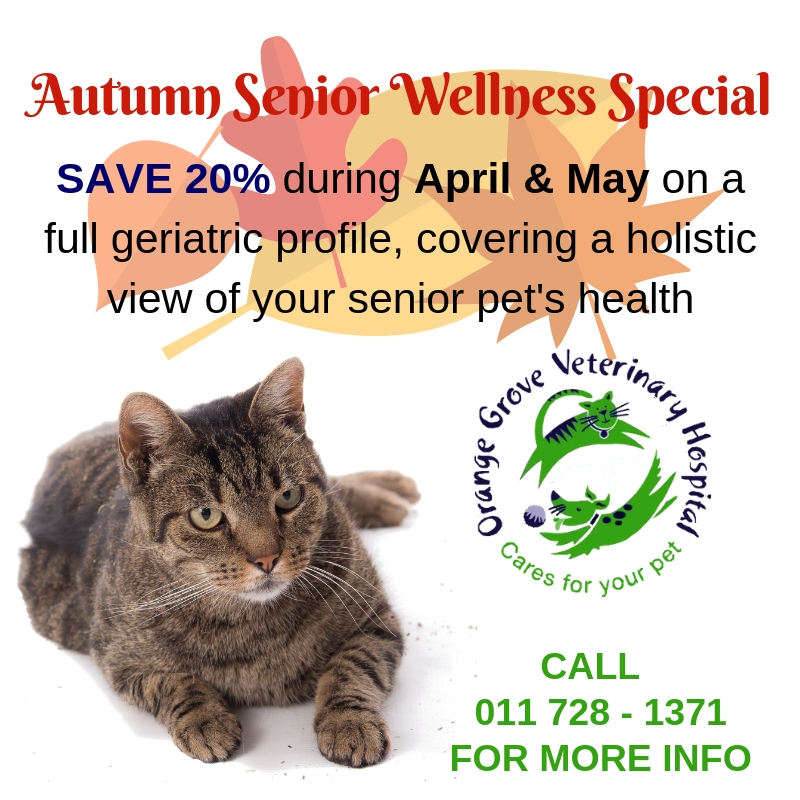 SAVE 30% on a full geriatric profile, covering a holistic view of your pet’s health at Orange Grove Vet. To book an appointment call (011) 728-1371 or email ogvh@iafrica.com for more information. The Dangers of Parvovirus in Puppies & DogsOrange Grove Vet Pets donate blood this Mandela day!